As we announced last week, various teams across the studio have been hard at work on an additional title update for Halo 4. Expected to release within the next few weeks, it’s in a finalized enough state where we’d like to go ahead and share its change list with you. Before I divulge the specifics, I’d like to say one thing: While the list may appear small at first glance, one thing in particular presents a myriad of future opportunities. More on that momentarily. For now, here are the changes that will hit Halo 4 once you’re prompted to download this update. If your ears perked up with that last one, you probably understand what this means. Previously added weapon adjustments, such as the Bolt Shot Nerf that went live last month, needed a title update in order to be released. With this title update, we are adding the ability to make weapon adjustments outside of the standard title update process. 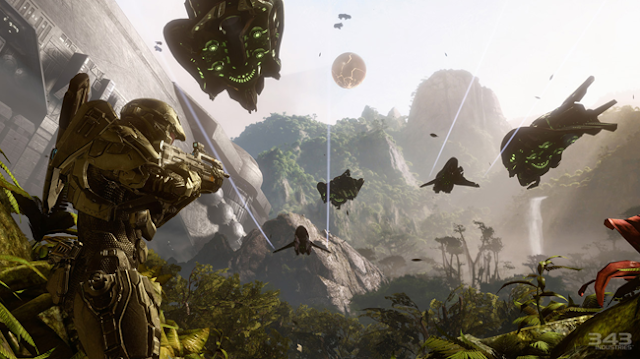 This will allow us to fine tune and tweak the Halo 4 sandbox as often or not as often as needed. One thing to keep in mind is that even the tiniest of changes affects the sandbox as a whole, so these adjustments will be closely scrutinized and carefully tested before being released. Sounds like 343 are on to it!